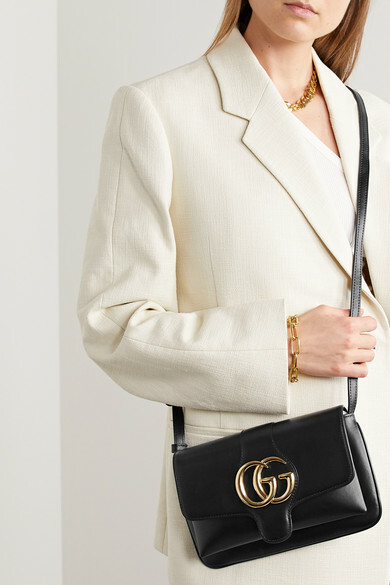 Gucci first introduced its 'Arli' handbag at the label's Resort '19 show in Arles, France. 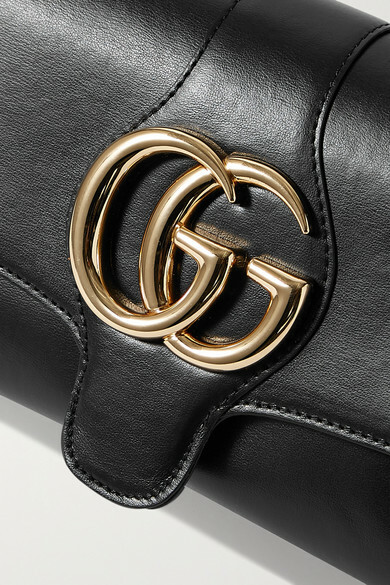 Crafted from smooth black leather, this small style is defined by an oversized 'GG' emblem and slim, vintage-inspired silhouette. 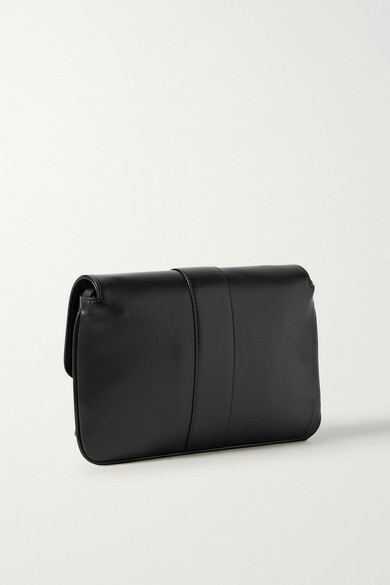 It opens to reveal a lined interior with two compartments and a zipped pocket. 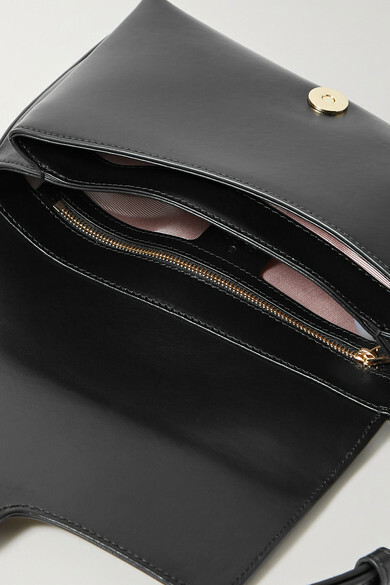 Slip it over your shoulder or adjust the strap to wear it cross-body. Shown here with: The Row Trench coat, Theory Top, REJINA PYO Skirt, Alighieri Necklace.